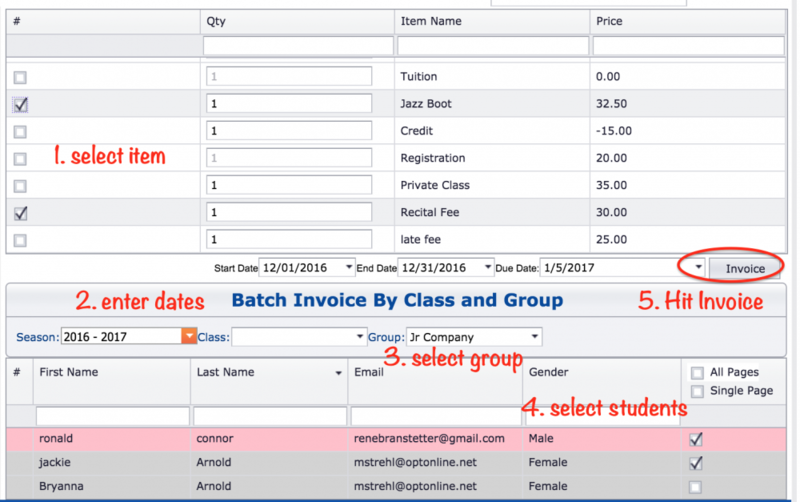 Batch invoice allows you to create invoices for multiple students at the same time. This feature is great for billing tuition or other expenses that need to be charged to a wide group of students. 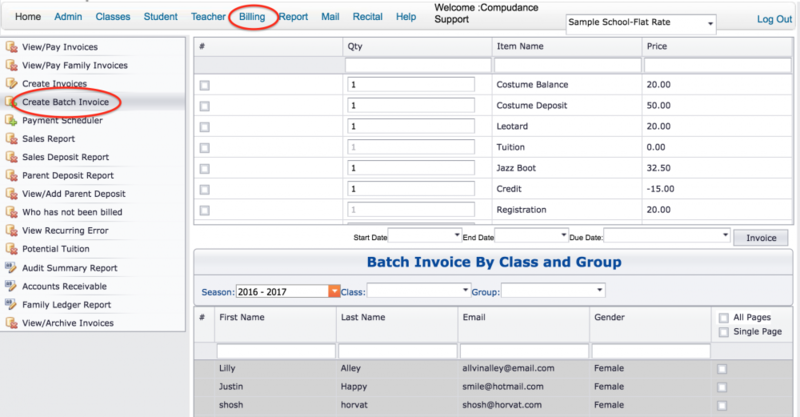 To begin, go to billing and select Create Batch Invoice. NEW! Batch By Family. 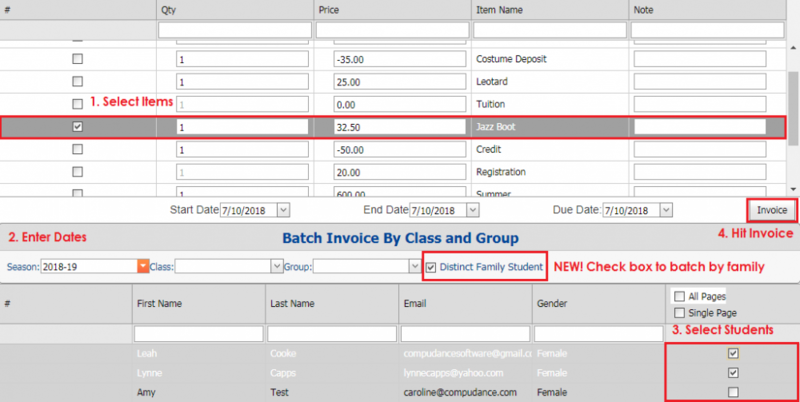 Check the box next to Distinct Family Student if only one invoice should be generated per family, not by the student. Example: Recital Fee, Family Registration. If you need to edit the price, you can click into the price box and enter in the new amount. You can do this for all income categories except for tuition. Often there is a need to bill just the members of a class or other small group of students. 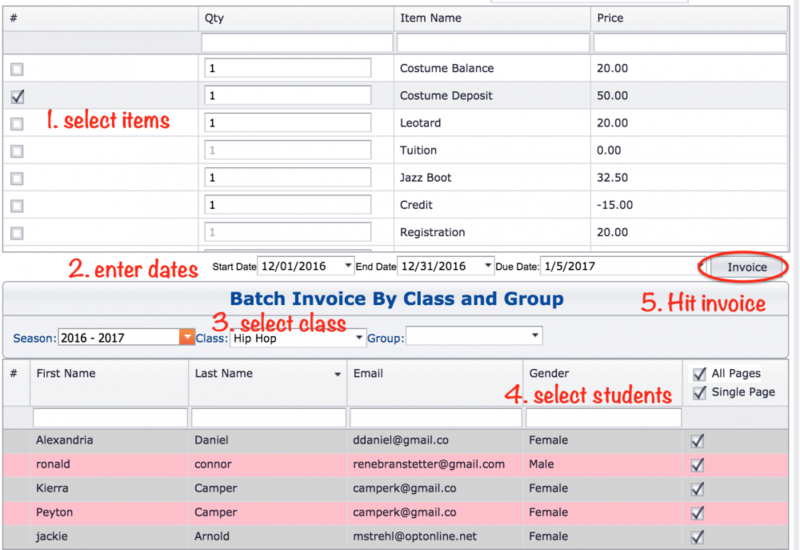 Batch billing gives you the ability to select students based on their class or a defined group. *If a student line is pink, they have a balance on deposit.